Wild Turkey Master Distiller Eddie Russell visited Australia earlier this month to unveil Master’s Keep 1894 – the latest release in its limited edition Master’s Keep series. The visit by Eddie was quite special and coincided with the Masters of Conviction Tour; a series of masterclasses across Sydney and Melbourne to celebrate Wild Turkey and the launch of the 1894. 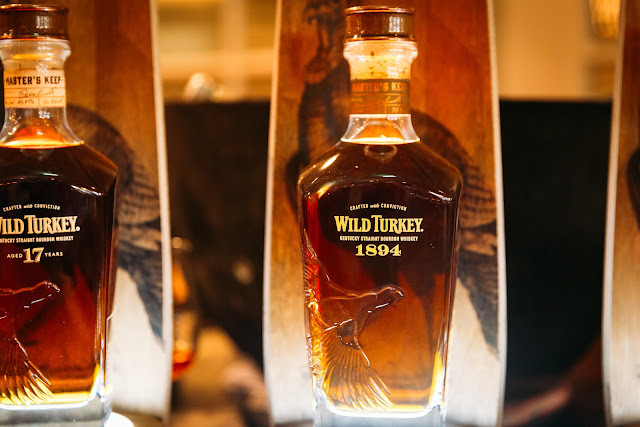 The tour presented Wild Turkey expressions including the Rye, Rare Breed, Kentucky Spirit, the Master’s Keep Decades (a personal favourite) and the 1894. What we love about Eddie, as the current Wild Turkey's Master Distiller, is how he worked from the ground up, closely partnering with his dad, Jimmy Russell. It's amazing to see Eddie follow in his dad's footsteps to become Wild Turkey's Master Distiller having started as a Relief Operator and subsequently spending many years as Wild Turkey's Associate Master Distiller alongside Jimmy. Eddie and Jimmy certainly make an awesome father and son Bourbon duo. 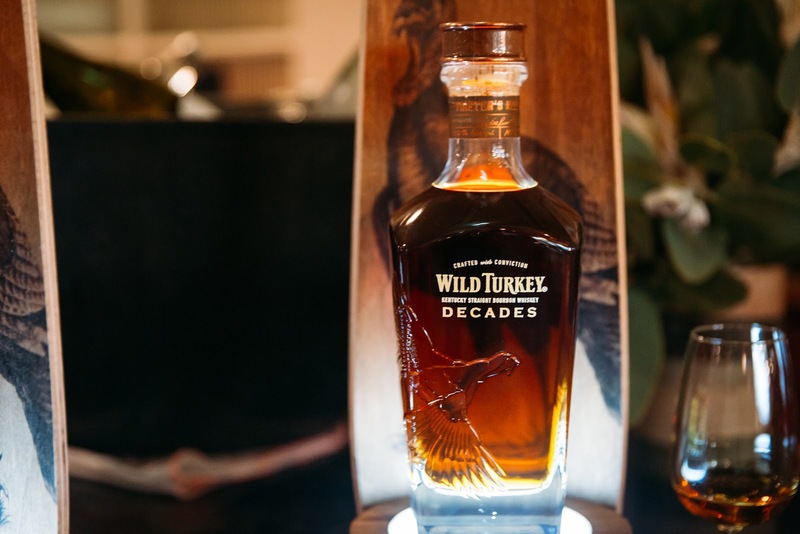 As Nicole Stanners, Wild Turkey's Bourbon Marketing Director described: "Eddie is of unmatched pedigree in the bourbon industry, with skills that only come from a true expert and knowledge others aspire to learn." At the launch, Eddie proudly spoke of his Bourbon life and the journey from his first taste of Wild Turkey, having drunk it straight from the barrel, to his time spent with Bookers and Jimmy and through the years of learning, crafting and continuing the Wild Turkey story. Many elements of his bourbon life story have come to influence and shape the details behind each of the Master's Keep releases; the 17yo, the Decades (above) and now, the 1894. The Master's Keep 17yo is a nice, soft and balanced barrel proof whisky. The long maturation profile of the 17yo meant the whiskey angels have had their fair share, estimated by Eddie to be around 37 gallons (140 litres) of liquid dissipation per barrel (amazing)! This is a share that had been taken from what started as 53 gallons (per standard bourbon barrel volume) to a mere 16 gallons at the time of bottling. Jokingly he referred to the angel as being the ultimate Master Distiller having taken a fair proportion of the bourbon. The long maturation was only possible through the barrel storage method by which the barrels were stored. The barrels were stored in a brick warehouse which stymied temperature variations and ensured cool and steady maturation condition; a stark contrast to maturing barrels in metal clad warehouses. The Decades was different to the 17yo in that it had been named after the inclusion of what Eddie considered to be the golden maturation age of Bourbon, 10yo. It includes some older barrels, up to 20yo and a large portion of 13-15yo barrels. The Decades was curated by Eddie as tribute to the smooth, balanced and lingering taste profile that he prefers and is starkly different to the bigger, bolder bourbons that are commonly favoured by the wider bourbon community. Personally, the Decades is also a favourite of mine. As to the newly launched 1894 - it takes its name from the oldest rickhouse (warehouse) at the Wild Turkey Estate which was built in 1894. The warehouse was where Eddie first fell in love with Wild Turkey. It was 36 years ago, on June 5th, 1981, when Eddie started working at the distillery, earning a mere 6.58 cents an hour. Every day, he would clock on, clock off and witness the distillery crews ducking into the warehouse not knowing what they were up to. This was until one day when Eddie decided to join them and found out that they were, in fact, going around and sampling from the different barrels. After which he joined and sampled his first taste of Wild Turkey - the day he fell in love with it all. The 1894 has been released in Australia before it hits the American market following a wise decision after a request was received from Marketing that Australia wanted their own bottles (in fact 10,000 bottles for allocation to Australia). The 1894 release is a unique small batch release and can be enjoyed as an everyday bourbon or mixed up as the base to an Old Fashioned, Whisky Sours or Manhattan. Nose: The nose plays strongly to spiced cinnamon apple notes, dried currants, liquorice, honey, vanilla, toffee and a slight herbaceous; wild grass undertone. Palate: More of the herbaceous note followed on the palate and joined by some glorious toffee apple, vanilla, butterscotch notes. There's also a level of spice that lingers. Rating (on Hendy's very non-scientific scale): 91/100. 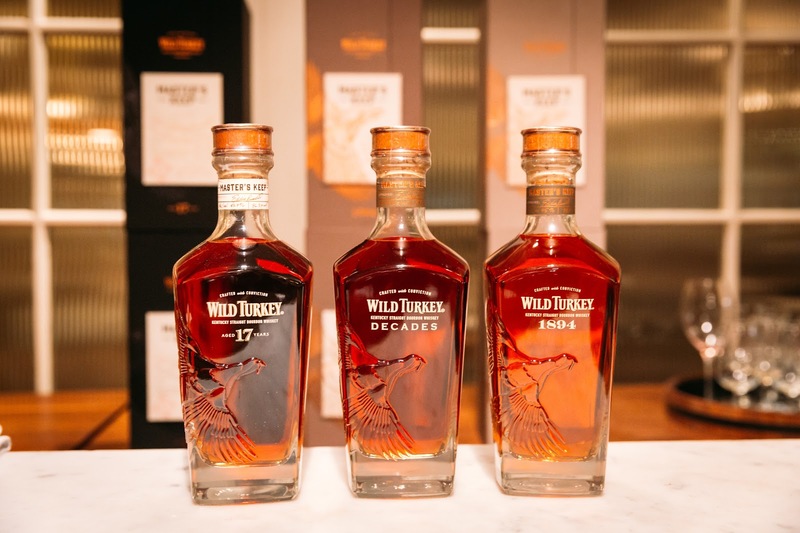 A huge thanks to ElevenPR and Wild Turkey for having us as part of the launch of the 1894 with Eddie Russell.